Hidden in the winter and found everywhere during the summer, ladybugs are not actually bugs. They are beetles, and there are over five thousand different species. Ladybugs are most of the time portrayed as gentle creatures, but actually, they are fierce predators. They are considered as a sign of good luck, if you’re not their prey or their attacker that is – for those who are, they are going to have a bad time. So, how does the ladybug menu look like? What can you feed them if you have one as a pet? 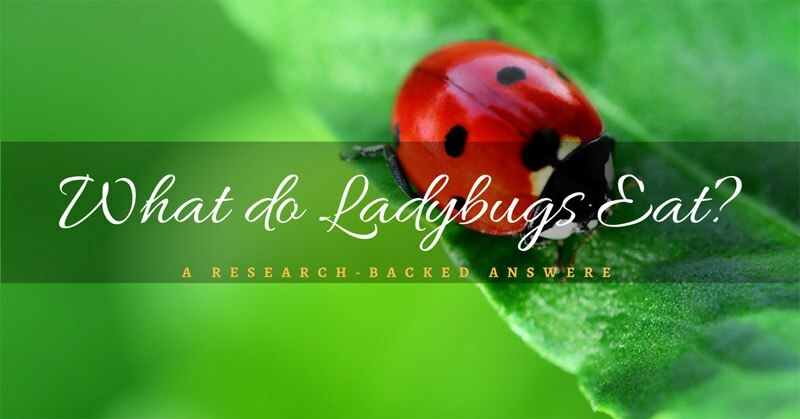 Why do ladybugs infest your house during the fall? How can you prevent a ladybug invasion? Ladybugs are named differently all across the world, most of the names connecting them with the term God’s little bug. Gardeners absolutely love ladybugs because they feast on aphids which are a serious menace in the garden. Aphids are pests that feed on plants, and if out of control, they can destroy the entire garden. Nature’s answer to this infestation is ladybugs who can bring them under control simply by feeding on them. One ladybug can eat about five thousand aphids, that’s why farmers love them and keep them around. Although most of the ladybugs are carnivores, there are some species that feast on mushrooms and pollen. A very small amount of them are pests themselves, like the Mexican bean beetle which eats bean plants. The rest are so effective in pest control that they have extremely efficient strategies from day one of their birth. Ladybugs lay eggs on the backside of the leaves near aphid colonies making young ladybug larvae feast on aphids as soon as they hatch. They start their menu with the eggs of aphids, and when they are developed, they start hunting the grown specimen. If you like ladybugs so much you want to keep them close to you as pets, you can do so by building a terrarium. They can be an excellent first pet for the kids since they don’t require that much of attention. Fill the terrarium with soil and throw in some leaves to make them feel like home. Make sure to punch a few holes for air supply. Ladybugs love humidity so keep the soil and leaves moderately wet. To feed them you don’t have to go for an aphid hunt; you can feed them soaked raisins and small amounts of honey. For water supply, it’s best to provide them a wet paper towel; they can drink the water from it. When the spring comes, release them and watch them fly! If you want to keep them throughout the whole year, you can order food and larvae from stores. As the summer comes to an end, ladybugs seek a place to sleep during the winter. There is a high possibility that they will come into your home from a garden. Nobody minds a ladybug or two in the house, but the problem is if one gets in, a lot of others will follow it. This happens because ladybugs have strong pheromones which they use to tell the rest of them that they found a good spot for hibernation. And sooner as you know it, your house walls will be crawling with ladybugs. The most common species responsible for fall infestations is Asian ladybug. They are multi-colored, and you can identify them by the black pattern on their forehead in the shape of black W or M. They are first brought to North America to solve the aphid problem, and since then they established themselves across the entire country. Asian ladybugs are most attracted to places with bright colors with a lot of sun exposure. That means you will mostly find them on south facing white walls on your house. They get into the house through cracks around the windows, so the best way to prevent that is by sealing all the holes and cracks. Other, less permanent solution would be to cover your windows with dark colored curtains. You can deter them by strong scents as well, spraying the frames of the windows with mint oil or lemon spray can keep them away. Cloves of garlic and scented candles near windows may work as well. But have in mind that garlic can be toxic to dogs and cats, if you keep them in your home, avoid leaving garlic around. As the winter comes to an end, you may encounter few ladybugs again. They are heading out during spring, and some of them forgot the way out, they often get trapped and die in the windowsills. If you see them crawling around in spring, gently pick them up and release them outside so they can help fight the menace in your garden. During the time they spend in your home, ladybugs won’t damage or eat anything inside during their winter hibernation. But, they can produce an unpleasant yellowish liquid if they are frightened and stain your clothing or furniture. The yellowish liquid they produce is, in fact, their blood. That’s their defense mechanism to make them unappealing to their predators. They can also bite if they are being harassed, but most of the time they just fly away. Ladybugs are a man’s friend and a great garden ally. 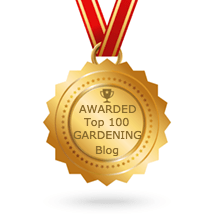 They will eat those nasty aphid pests and other insects that tend to ruin your garden, such as mites, whiteflies, etc. They are beautiful, and everyone loves them, from kids to adults. Some people find them to be a menace in the winter, but they mean absolutely no harm, all they search for is a warm place to stay during the winter. If you provide them with shelter during the winter, they will return the favor in the summer when they start cleaning up your garden.